Based between London and Norwich, Millie Manders and The Shutup are a cross genre punk/rock/ska band who’s main aim is to hit their audience with big riffs and a bigger attitude. They’re one of those bands that seemingly never stops touring but, naturally, the hard yards put in on stage have made them tighter and tougher with the passing of time. 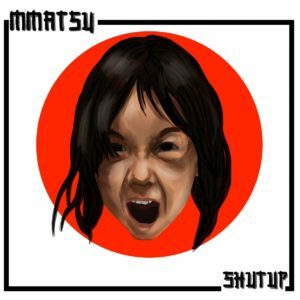 Their 2018 EP ‘Shut Up’ showcases a variety of styles and moods from within the band’s musical canon, but still sounds remarkably coherent. This has much to do with Millie’s big voice – she has a definite presence, even on record – but it’s also down to some great brass; whether delving into straight ska or sounds of a more crossover variety, the horns sound huge throughout. Cross genre punks Millie Manders and The Shutup have shared a new video for ‘One That Got Away’ a few days ahead of their EP release, which you can watch in full below. The new track shows the UK band throwing out some serious riffs and horns on a track that should appeal to fans of Save Ferris, Capdown and other great ska/punk sounds. It promises very well for the rest of the EP, proving that the hard gigging act’s skills translate very well to the studio experience.